The Retreat is joining forces with Laser Tag 2 U to bring to our guests an incredible fun experience for everyone to enjoy. 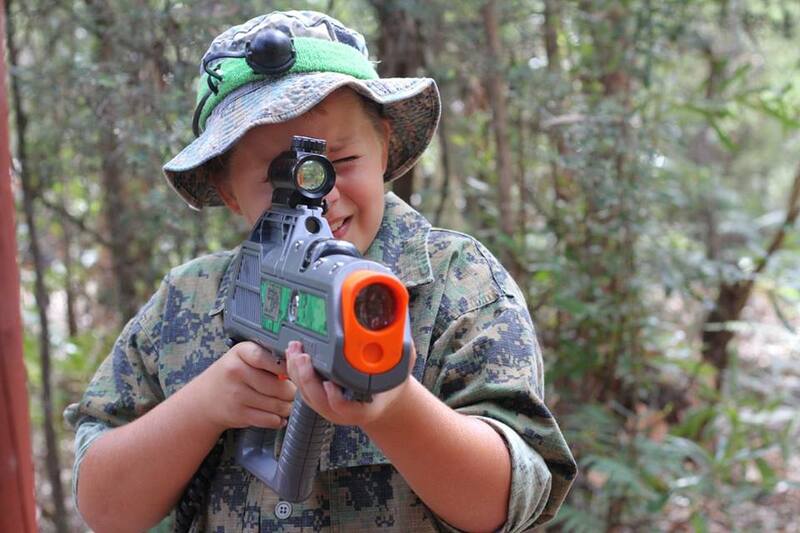 Our laser tag group accommodation Port Stephens NSW options are unbeatable and exclusive to The Retreat. While staying onsite at The Retreat Port Stephens in our group accommodation or our more private Cabins and Bungalows you can have all the fun of Laser Tag at the one place. Laser Tag 2 U is a fully immersive mobile laser tag adventure. You can play indoors, outdoors, in daylight, or at night, and provide a fun and safe game using infrared phasers. That means no projectiles, no mess, and no pain or bruising, all brought to your location! You can hire the Laser Tag 2 U for 8 hours to use as much as you like throughout your hire period. This is perfect for large groups to break the group into teams and have games throughout your hire period. Games are set up and conduc ted by our experienced staff. Using our inflatable walls and bunkers if required so you can play high tech hide and seek. Or, design your own field using trees, outdoor furniture, or anything you can think of. This is serious fun for everyone! The allocated area for your Laser Tag 2 U experience all depends on your group booking, which accommodation buildings have been allocated and the number of guests you have in your group. Perfect for school groups, corporate team building, hens & bucks weekends, families.…..actually perfect for everyone. Enjoy the facilities that The Retreat also has onsite to make your whole trip away the best ever with our BBQ areas, camp fire, swimming pool, games room and kids play ground. Catering and food packages are also available to assist with the easy planning of your Laser Tag 2 U getaway.